5/4 decking looks great and is very cost effective. 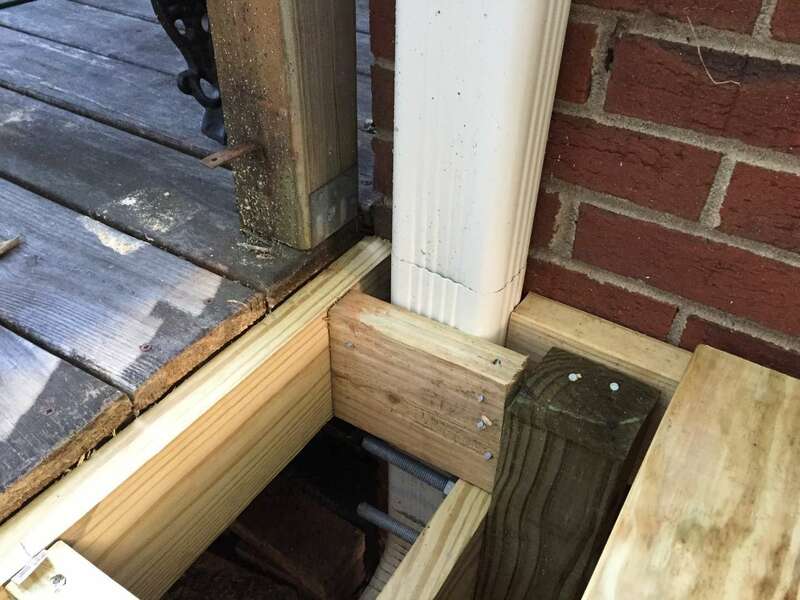 This guide will take you through laying and securing your 5/4 decking. 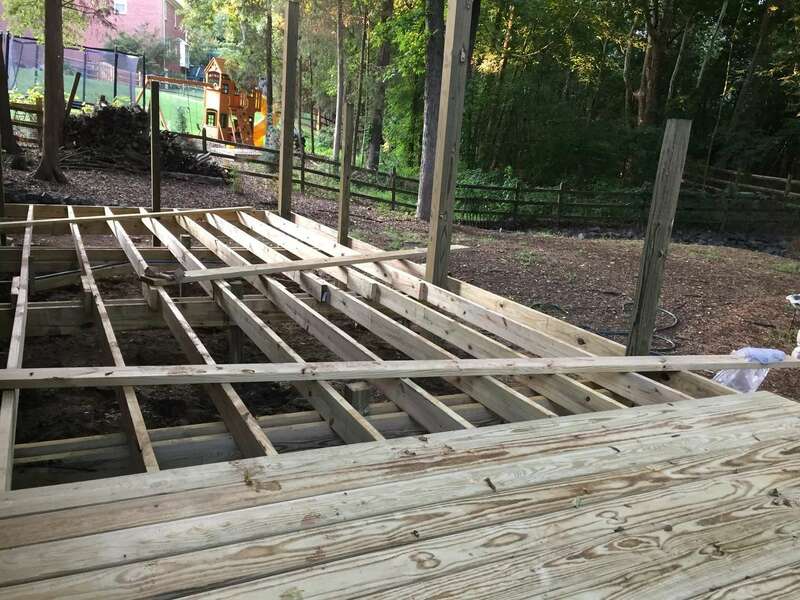 Lay your decking on the joists with plenty of space between each board. Wood tends to cup towards the bark over time. Laying it this way with a nail on each edge minimizes this. 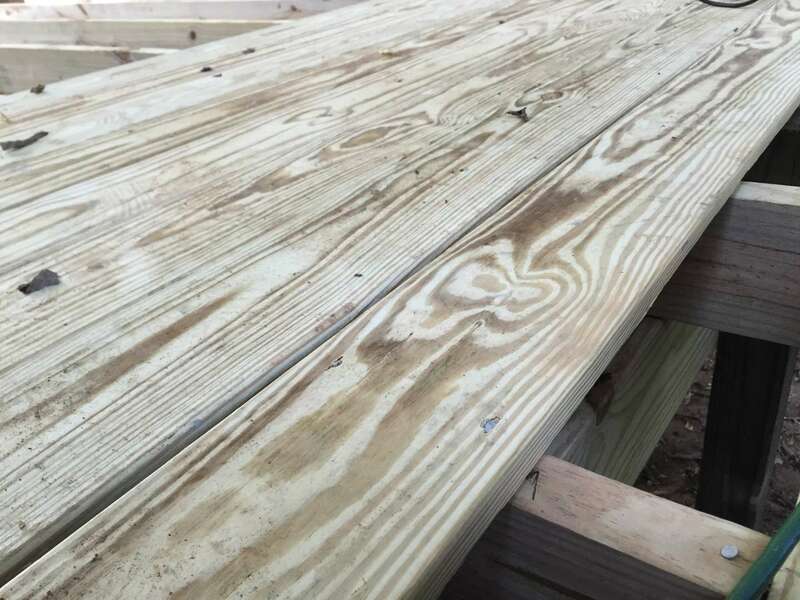 Use two nails at each intersection of the decking board and the joist. Roughly 1" from the edge of the board works great. Don't forget this step. You will need the nails every so often to guide you when you nail the rest of the decking. Nail the blocking however you can. It only needs to stay put until you nail the decking. 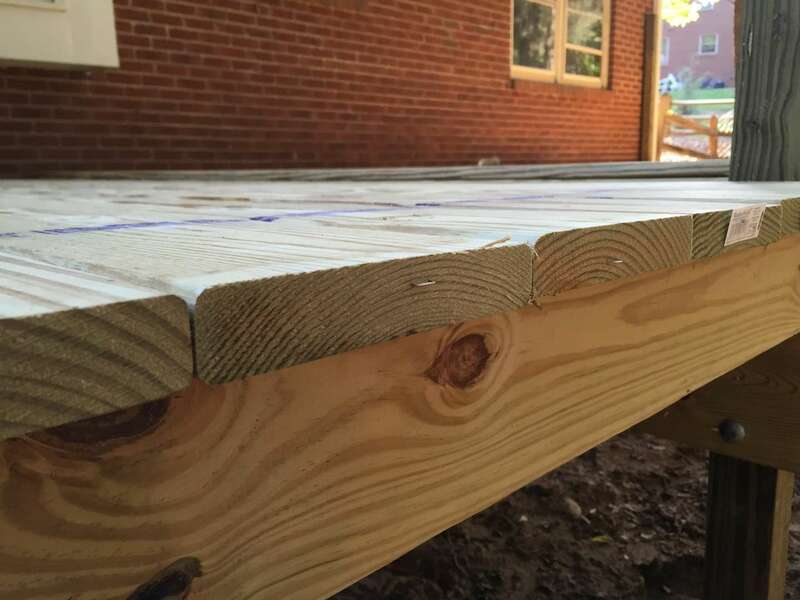 Check out this guide to find out how to notch decking. If you find a nasty edge on a piece, flip it over. That always takes precedence over the cupping issue. 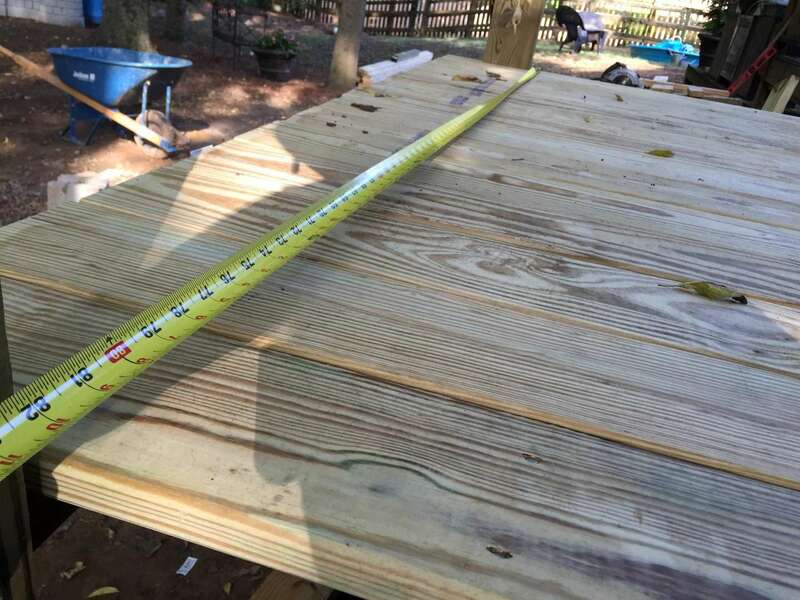 Every so often, measure from your starting point to make sure you're laying the decking square. 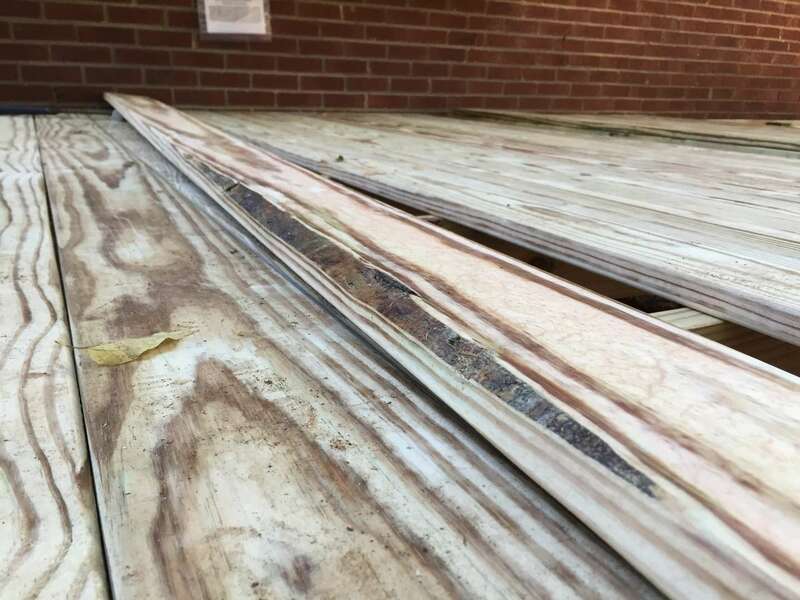 To correct any issues, squeeze the decking a little tighter on the longer side. Usually your final piece will not be perfect width. Rip it to width on a table saw or with a circular saw. Use the boards you already nailed as guides for your line of nails.